These large horned Antelope are considered extinct in the wild. Numerous breeding projects exist to reintroduce these animals in northern Africa. 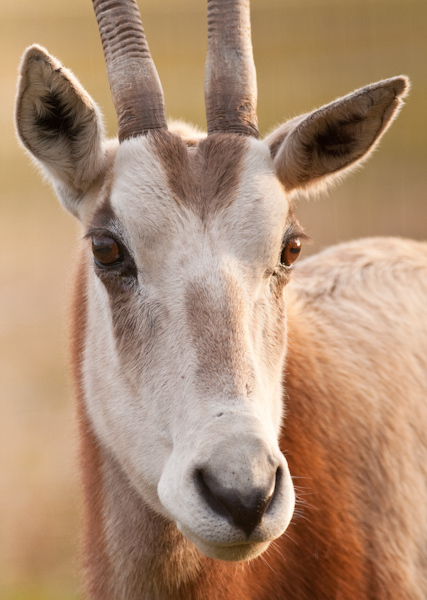 Scimitar-Horned Oryx have white coats with a reddish chest area. Both males and females develop horns that can grow up to 125cm long.